Better Book Titles, the titillating crowdsourced retitler has knocked it out of the park in response to the Bizarro World decision to begin censoring Mark Twain’s American classic, Huckleberry Finn. Our gay blog and many others are not impressed with the censoring. True, the book is a window into turn of the century racism. And yes, the N word is used 219 times (Ouch). But does this give us the right, or even the necessity to perform literary microsurgery in order to bring it up to today’s P.C. standards? The display of racism is precisely what makes the book a valuable insight, and worthwhile teaching material for today’s generation. But enough about such heavy business. BBT, the good folks who brought us new American classics like An Austistic’s Guide to New Orleans (Confederacy of Dunces), The Last Story Grandpa Told Us Before We Sent Him to The Home (Cloudy With A Chance of Meatballs), and This Is the First Book I’ve Read In Six Years (The Girl With The Dragon Tattoo) gives us… One of My Best Friend’s Is Black. Homerun! 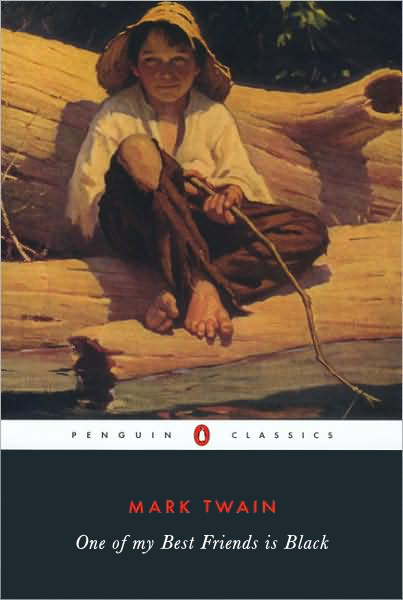 Do you think Huckleberry Finn should be censored to remove the N word?